The rolling hills and forests of rural Gascony, sunny weather, the endless hay-fields criss-crossed by winding roads, the rugged, earthy terroir, hearty gastronomy and proud traditions. It’s not hard to fall in love with the land of Dartagnan, Cyrano and Armagnac. When it comes to finding your dream home, however, there’s something to be said for keeping a good balance between your heart and your head, so here is a brief outline of what the region has to offer. The boundaries of Gascony, or French Gascogne, don’t correspond exactly to an administrative department or region. It is a historical and cultural region encompassing roughly the southwestern French départements of Landes, Gers, and Hautes-Pyrénées and parts of Pyrénées-Atlantiques, Lot-et-Garonne, Tarn-et-Garonne, Haute-Garonne, and Ariège and coextensive with the historical region of Gascony. The main towns are Agen, Pau, Tarbes, Luchon, and Auch. 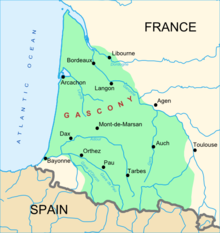 Gascony can be said to stretch north as far as Bordeaux, and south to Bayonne framed by the Pyrénées to the south and the Atlantic coast to the west. As soon as you leave the towns the landscape becomes very rural and breathtakingly scenic. The region is know for its bold red wine, floc aperitif, Armagnac, cassoulet, magret de canard, fiercely independent spirit, and a friendly welcome. Gascony is a large area (from the West Gironde to the East Tarn et Garonne and from the South Lot-et-Garonne to the North of the Hautes-Pyrénées and, of course, including the western Landes and the Gers) and therefore it is difficult to give an overall idea of property pricing in the whole territory. The Gers is a large part of Gascony that still offers great value for money and is in general more affordable than some of its neighbouring departments such as the Tarn-et-Garonne or the Lot-et-Garonne. However, even within the Gers department there are important price disparities: places such as Auch, Lectoure or Condom are more expensive in general than the south of the department where town such as Mirande or Marciac offer great value-for-money. Sweet springtimes, warm summers (without the stultifying heat found further south) and short winters – the climate in Gascony is temperate, more than agreeable and conducive to encouraging fine crops of fruits and flowers from the region’s fertile soil. Expect long Indian summers but do allow for more changeable weather the further you edge towards the far south, moutainous areas towards the Pyrénées and Atlantic coastal regions. There are several airports that provide convenient access to Gascony, including Toulouse, a little further afield to the south at Pau and Carcassonne, Bordeaux to the northwest and Bergerac a couple of hours north. Those travelling by rail can head to Paris Austerlitz, then take one of the regular trains to Toulouse (on average 23 per day), Montauban or Auch. See Voyages SNCF to book. 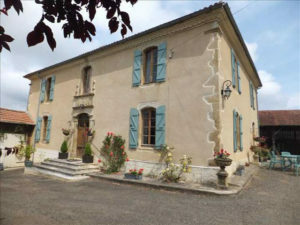 When you define your search area for your home in Gascony it is, as always, important to identify what you intend to use the home for, and how you see yourself living in it. If you are looking to make an investment, or planning to offer tourist accomodation such as gîtes or chambre d’hôtes, your main focus may be access to transportation and the main tourist sites. If you are planning to move year-round, your checklist will look somewhat different with schools, health services and potentially access to an area where there are jobs available. Before you buy, make sure to check out the area in the low tourist season, to see if the quieter rhythm of life would still suit you. There is not a ‘one-size-fits-all’ answer to what is the best spot to buy property, and there are always areas where you can stretch your budget to find the best value. Otherwise known as the maison landaise this type of property is mainly found in the eastern Landes department, South Gers, and North Haute-Pyrénées areas. 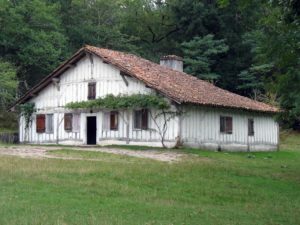 They are a legacy of the Middle Ages and of the oustaù which was the traditional house in the area before the use of bricks – they were made of wood and wattle and daub. These properties are sought after due to their traditional feel and depending on size and location they usually range from €200,000 to €400,000. These appeared in the mid 18th-century to provide the upper middle class with suitable housing and a bourgeois lifestyle. They were built to show off the wealth and power of its owner to the village where they are set. Most of them are separate from the road by a large courtyard and some of them come with land. Their size and elegant architecture make them the perfect type of property to transform into a B&B. 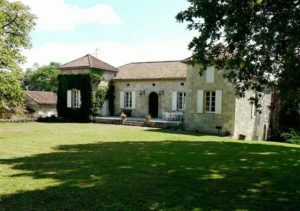 Again depending on where they are located in Gascony and the size of the estate, a Maison de Maitre can typically cost between €350,000 and €650,000. These stone properties typical from the South West of France are usually one storey, long houses with a tiled roof and sometimes come with a pigeonnier which can be an outbuilding. They are typically set in the countryside. If they have their original features they will often come with large stone fireplaces and feature use of wooden beams (some of them come with a mezzanine). These very spacious properties are rare and can range from €500,000 to around €1,500,000 depending on their state of repair, size and location. 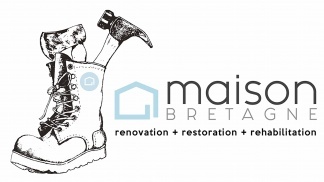 I am looking at retiring in the Gers and was considering buying a gîte business as I would need a complementary income. Is the Gers touristy enough for such a business? I am sure that if you decided to buy a property in the Gers to enjoy your retirement it is because you spent some time there as a holiday maker discovering the department. The Gers is a really beautiful area of France combining many different aspects that many holidaymakers are looking for when they explore France: wonderful landscapes makes the Gers the perfect place for nature lovers and ramblers, a very strong cultural identity (shown for instance in the medieval architecture of towns such as Lectoure and Condom), plus unique attractions (such as the Jazz festival in Marciac) and, of course, its gastronomy. I am looking for a characterful farmhouse with a bit of land and some outbuildings but have a limited budget of around €100,000. Do you think I will be able to find something that could match my needs in Gascony? 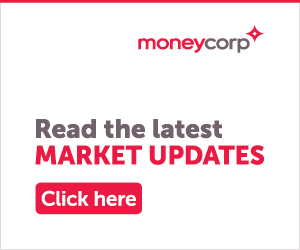 We all have to work around a budget and if you are ready to make some compromises in terms of where you could buy in the area and that you are ready to do some work, this is definitely something that is possible. If I were you, I could concentrate my search between Auch and Tarbes which is a cheaper area than the Lot-et-Garonne and the North Gers. Remember that these properties will need some renovation and that the larger they are the more expensive the renovation will be (especially when it comes to the outbuildings) so factor in this cost when making your choice. 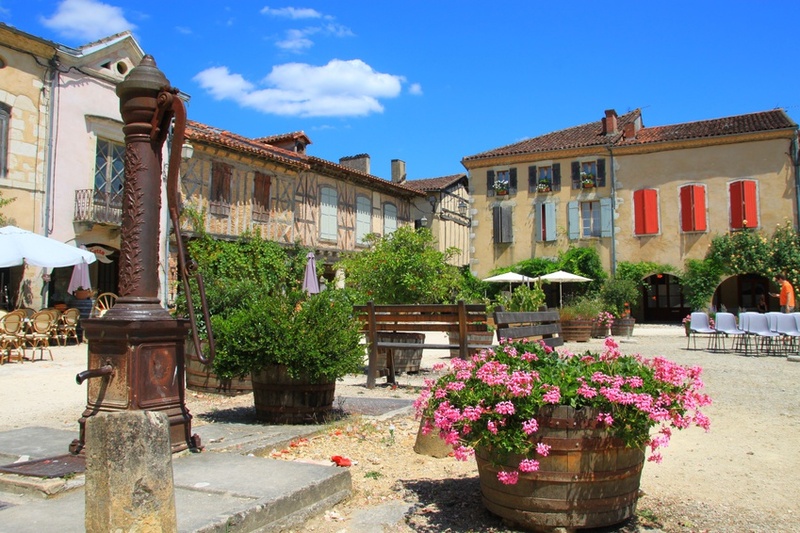 If you’ve got your heart set on a French property in beautiful Gascony a phone call to the FrenchEntrée Property team is a good place to start.